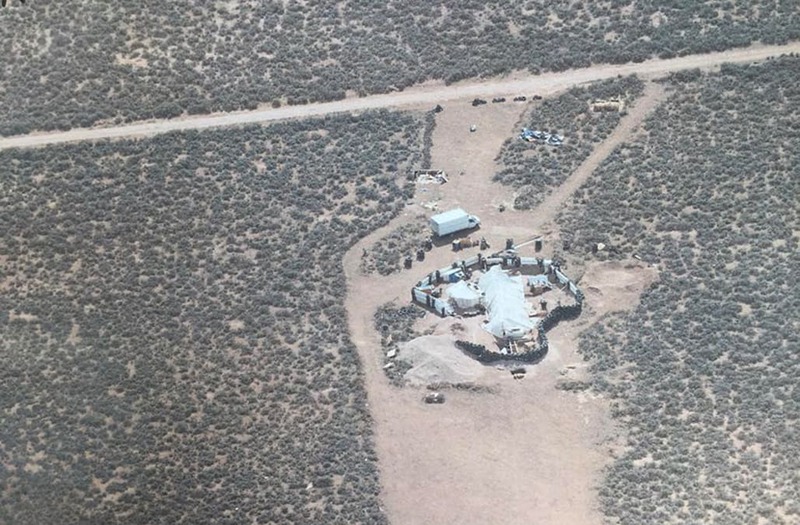 AMALIA, N.M. (AP) — A New Mexico man said Tuesday he and his wife had pressed authorities to remove a group of people from a makeshift compound on his land where officials reported finding 11 hungry children living in filth. However, it took a plea for help and the search for a missing Georgia boy to finally draw sheriff's deputies to the desolate site that was walled off by stacks of old tires, wooden pallets and other debris. Property owner Jason Badger said he had concerns about the compound near the Colorado border. But he says the courts and other authorities shot down his attempts to break up the encampment — described as a trailer buried in the ground in Amalia, just south of the New Mexico-Colorado line. .
Morton was among five adults arrested after the Taos County sheriff raided the compound in search of the missing Georgia boy who was not found. Authorities haven't released many details about their search for him. The five adults, including the boy's father, have been charged with child abuse. A hearing was expected later Tuesday. Children ages 1 to 15 were rescued Friday from the compound that had been under investigation for months. Wahhaj was scheduled to appear in court Tuesday on a warrant from Georgia that seeks his extradition to face a charge of abducting his son, Abdul-ghani, from that state last December. The public defender's office in Taos County did not immediately return a telephone message from The Associated Press seeking comment Monday. The sheriff said FBI agents surveilled the area a few weeks ago but did not find probable cause to search the property. An FBI spokesman didn't immediately return a call by The Associated Press seeking comment.